We offer coach and minbus hire services from smaller to large r groups requiring several coaches. We reqularly offer our services to businesses and the general public either for tours, sports, airport tranfers or even school trips. Our business is family run for more more than 60 years and we have focused on providing the best coach charter and hire services that allow people to explore the country in comfort and style. Our vehicles are driven by well-trained professional drivers from our depots located in Paphos. We can provide a vehicle for all your travel needs – from a day out in Paphos to a night at Troodos mountains, a multi-day tour, school educational trips, cruises, afternoon teas and visits to historic monumnets all over Cyprus. D. Karaviotis customers travel in comfort and safety and arrive at their destination feeling relaxed and refreshed. Passengers enjoy travelling with us because we go above and beyond to offer the highest of standards. We pride ourselves in offering a helpful, reliable and friendly service – and have been doing so for over 60 years! We have a fleet of 55 seater coaches and smaller 21 seater mini buses at our disposal, Our coach fleet size means that we are in a position to handle all transport requirements, from short trip training seasons to long distance weekends away. Our coaches are comfortable and in perfect condition redy for your trip or transfer. We understand the need for reliability and punctuality to all organisers. We ensure that our coaches arrive at your destinations on time, whether it be for the start of a match or to catch a flight. Furthermore our Fleet is serviced requlary to make sure there are no suprises during your transportation. 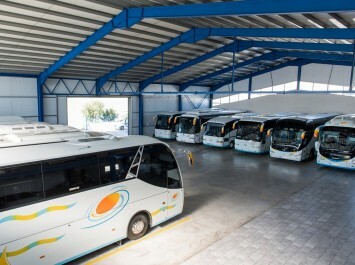 Due to the large size of our coach fleet and the high volume of work that the company undertakes all over Cyprus we are able to price all our coach hire quotations very competitively. We try to do our best for both for existign associates and new clients in a way that keeps everyone happy. Our staff is on hand with a friendly and professional service for hiring coaches for any event. We have years of experience, built on offering our customers a courteous and professional service regarding all aspects of coach hire. We can offer a large fleet of modern and comfortable coaches suitable for all occasions. 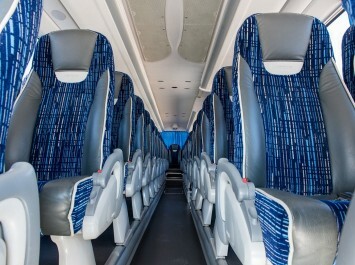 Our Coach fleet is serviced and maintained at the company’s own engineering facilities. We employ well-trained and highly skilled engineers to ensure that the highest levels of safety and reliability are achieved. Comprehensive back up services are available throughout Cyprus to make sure that our customers are never disapointed even at that suprise breakdown during your trip. Our luxury executive minibuses are equipped with DVD, flat screen TVs, PA microphone system & luxury seating with on-road meeting table. 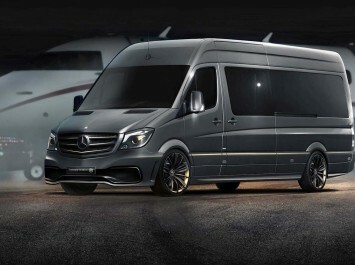 it’s a perfect luxury minibus for your corporate guests and your top executives to be transported locally.